Beside Libkind stands Willem van Waesberghe, master brewer at Heineken. Van Waesberghe was one of the first people to recognize the promise in Libkind’s yeast research, and Heineken has helped fund the building of the upcoming lab, which will be called CRELTEC (an acronym for, roughly translated, the Reference Center in Yeasts and Brewing Technology). The foundation is completed, and they're erecting the structure's metal frame. 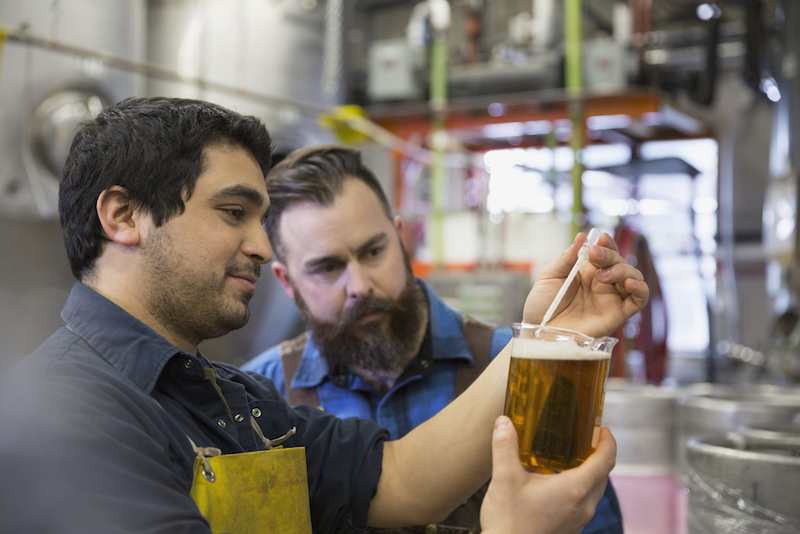 The vast majority of beer made in the world (94 percent, to be exact) is cold-fermented lager, which is made with a hybrid yeast descended from two parent species. One of those parent species is a close genetic relative of the yeast used to make ale (as well as leavened bread and wine). But the other parent species was, until very recently, a mystery; yeast experts knew what its DNA looked like, but they had never been able to find it in nature. Libkind changed that when he discovered the yeast in the forests of Patagonia—a finding he and colleagues made public in a 2011 study paper appearing in the prestigious Proceedings of the National Academy of Sciences (PNAS). Since Libkind’s discovery, the species he and Hittinger documented has turned up in the wild in several other locations—including in North Carolina and Tibet. But Heineken, working with Libkind, was the first to use this “wild” lager yeast to make beer—a process that took years of development. The result, Heineken’s H41, is currently available in New York and other select markets worldwide.